On Friday’s St. Louis on the Air, host Don Marsh went behind the headlines to discuss what critics have called a “broadside attack” on Missouri Sunshine Law by state legislators. Joining the discussion was St. Louis Public Radio’s new investigative reporter, Beth Hundsdorfer, who offered her insights into some of the processes and challenges involved in accessing public records in the bi-state region. Longtime political reporter Jo Mannies also participated in the conversation. 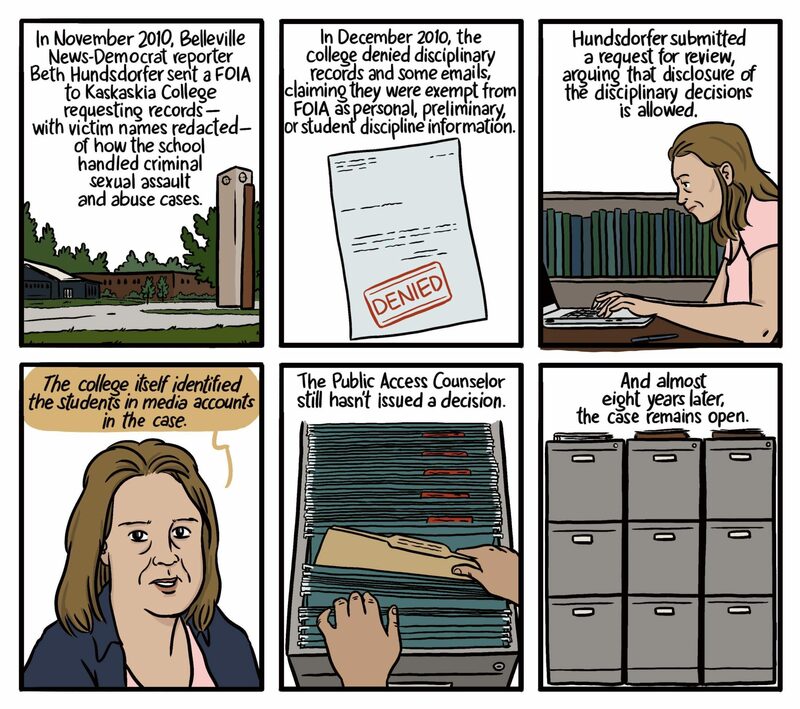 Both women have made many records requests during their years in journalism, and Hundsdorfer noted that sometimes gaining access to those records requires a lot of time or resources. “I have one [request] in Illinois that’s been pending for eight years,” she said, referring to a request she made to a community college while reporting for the Belleville News-Democrat.